A suit seeking class-action status in New York and California is claiming Quaker does not live up to its pledge of keeping its products completely natural. PepsiCo is keeping quiet across all of its digital platforms as it faces a lawsuit alleging its Quaker subsidiary engaged in false advertising after traces of a herbicide called glyphosate were found in some of its products. The suit, which is seeking class-action status, was filed on behalf of New York and California consumers, according to The New York Times. 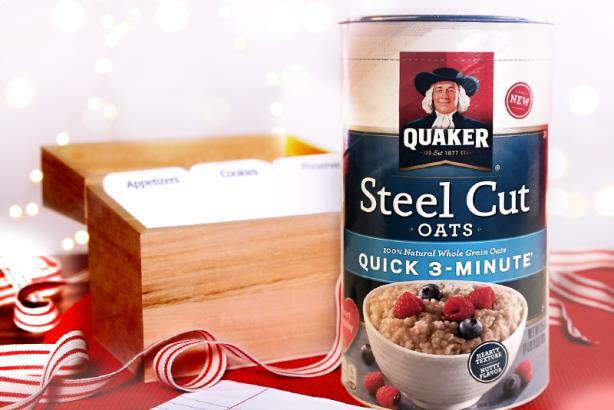 It alleged three products reneged on the brand’s "100% natural" pledge: Quick 1-Minute, Quaker Oats Old-Fashioned, and Quaker Steel Cut Oats. Quaker stood by the ingredients in its products in a statement issued to the media, saying it does not add glyphosate during any part of the milling process and that all oats it receives are cleansed. "Glyphosate is commonly used by farmers across the industry who apply it pre-harvest. It is also found in other grains in trace amounts including rice and wheat," the company added. "Any levels of glyphosate that may remain are trace amounts and significantly below any limits which have been set by the Environmental Protection Agency as safe for human consumption." It did not provide additional comment. Consumers took to social media to air their thoughts about Quaker’s use of the herbicide, which is known as an active ingredient in the week-killer Roundup. So I hear the Quaker Oats guys use a potentially carcinogenic herbicide that makes it into the oats. What is safe for a human to eat ffs??? Parent company PepsiCo, meanwhile, is facing renewed scrutiny from environmental and consumer activists for its use of palm oil, a vegetable oil ingredient widely found in consumer products. Activists from the Rainforest Action Network hung a banner protesting its supply chain in New York City last week, reading, "Cut conflict palm oil." Activists claim the $61 billion palm oil industry, which is expected to grow to $88 billion in less than a decade, accelerates the pace of deforestation, threatens Orangutan extinction, and fuels bully tactics targeting palm farmers. Rainforest Action Network also conducted a social media campaign against PepsiCo, but the company again did not respond on digital media.